The leader of the North Dakota Senate told energy industry leaders this week it’s important that the state avoid a fight over the distribution of oil tax revenue. Speaking at the EERC’s Energizing North Dakota event in Grand Forks, Senator Rich Wardner, R-Dickinson, said oil tax revenue must continue flowing to communities directly impacted by oil development. But he said communities in non-oil producing parts of the state have needs as well, and he’s working on a plan to address them. Wardner said he worries about the consequences if competition for oil tax dollars divides the state. Wardner said some people think the needs of the hub cities of Williston, Dickinson and Minot have been met. But he told the crowd it’s essential that state financial support continue to go to the communities. Wardner said the hub cities have debts to pay, and demand in the communities continues to grow because more and more industry workers are bringing their families with them. Technical schools in western North Dakota are working cooperatively to address the workforce needs of employers in the region. Kathy Neset, a member of the state Board of Higher Education, said the effort has been dubbed, Bakken U.
Click here to listen to Neset’s comments. Speaking at the Energizing North Dakota event held this week at UND, Neset said Bakken U is geared toward training and retraining to develop employees with skills the industry is seeking. Neset said scholarships are also offered as part of the program. Click here to learn more about Bakken U. Representatives of North Dakota’s EmPower Commission say they have concerns about a document developed by the state Game and Fish Department to provide guidance for siting wind energy facilities. During a presentation to the legislature’s interim Energy Development and Transmission Committee this week, Empower member Dale Niezwaag said the group has concerns about the regulatory authority of Game and Fish to implement guidance, as well as the process used to develop it. 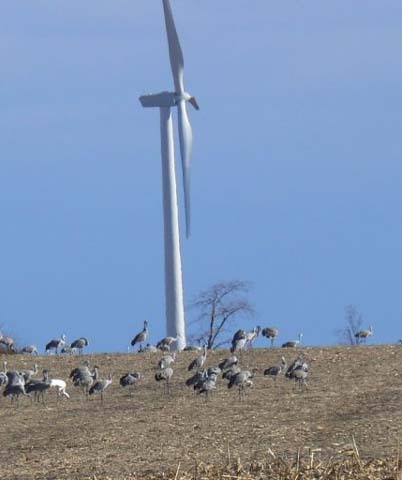 Former Public Service Commissioner Brian Kalk told the committee the document arose from a PSC request for guidance to reduce the impact of wind farms on wildlife. But Niezwaag, who works for Basin Electric Power Cooperative, said Empower members worry that its scope could be expanded to impact all types of energy development. Committee members were told the guidance includes mitigation payments to compensate for the loss of wildlife habitat, which concerned EDT Committee Chairman Rich Wardner. Wardner said he would be opposed to any requirement that payments be made directly to non-governmental agencies. “If it’s in the Heritage Fund, then we’ll have a group that will say whether it should go to Ducks Unlimited or Pheasants Forever or whatever it might be,” he said. Rapidly growing school districts have been frustrated by the state’s Foundation Aid distribution formula, which bases state aid payments to K-12 districts on the previous year’s enrollment. The legislature has attempted to make up for the shortfall with a Rapid Enrollment Grant program. But the need this year far surpassed the $6 million appropriated for the 2017-19 biennium, so the supplemental payments were pro-rated to just over half of the $4,000 per student the program was supposed to provide. West Fargo School Business Manager Mark Lemer presented the NDCEL proposal to the interim Education Funding Committee at its meeting Tuesday in Fargo. Lemer said the language would include a weighting factor which the legislature could adjust based on the available revenue. Click here to listen to Lemer’s comments. 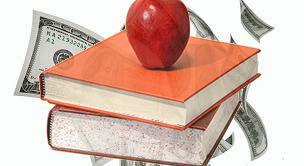 Several western North Dakota schools qualified for Rapid Enrollment Grants in the current school year. Domestic shale plays now account for 54% of total U.S. crude oil production, in part because of the increasing productivity of new wells, and those in the Bakken are at the top of the list. The Energy Information Agency’s Drilling Productivity Report shows that each drilling rig operating in the Bakken is averaging 1,453 barrels/day of new production, a number that has been steadily climbing the past 10 years. 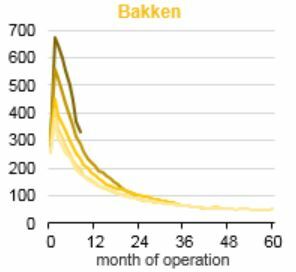 With each rig completing an average of just over two new wells per month, that means the average Bakken well’s initial rate of production is approaching 700 bbl/day. 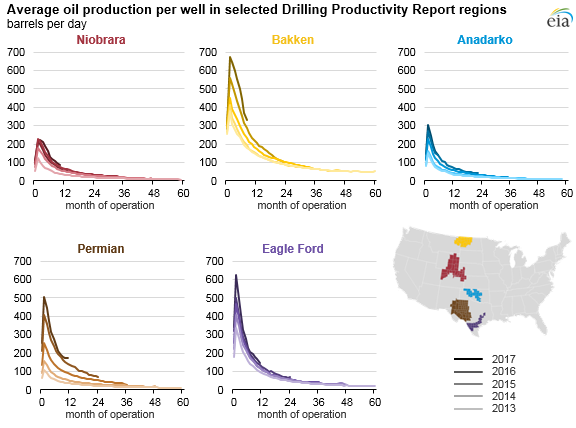 The production rates are lower in other shale plays, ranging from around 200 bbl/day in the Niobrara Basin to just over 600 bbl/day in the Eagle Ford in Texas. Click here for additional details from EIA. 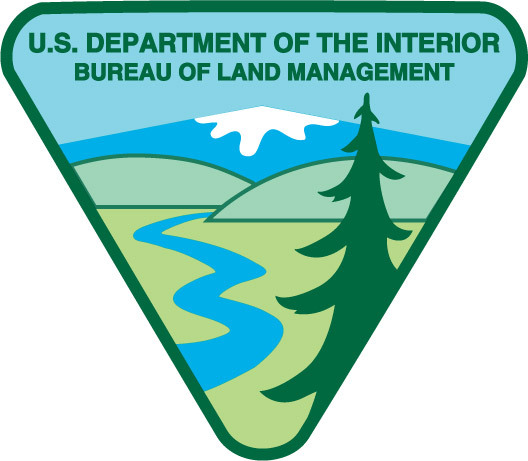 The U.S. Bureau of Reclamation has allocated $29.2 million in funding for water infrastructure projects in North Dakota. About $10 million of that will be used to improve and upgrade the Minot Water Treatment Plant, and for designing a water treatment plant near Max. Other projects include a water treatment plant at Twin Buttes on the Fort Berthold Indian Reservation, and a sludge handling facility at the Dickinson Water Treatment plant, part of the Southwest Pipeline Project. 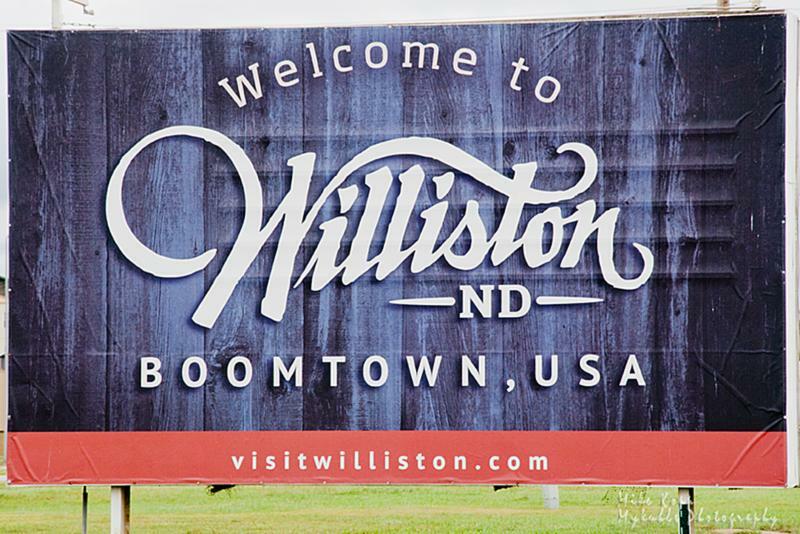 Williston's population has grown more than 300% in the last 10 years, and that growth carries opportunities as well as challenges. Williston Mayor Howard Klug addressed some of the issues in his State of the City address this week. He said Williston's current debt is just over $260 million and it is expected to grow with the construction of the new airport. Click here to read more from the Williston Herald, or here to see video from KXMD-Williston. 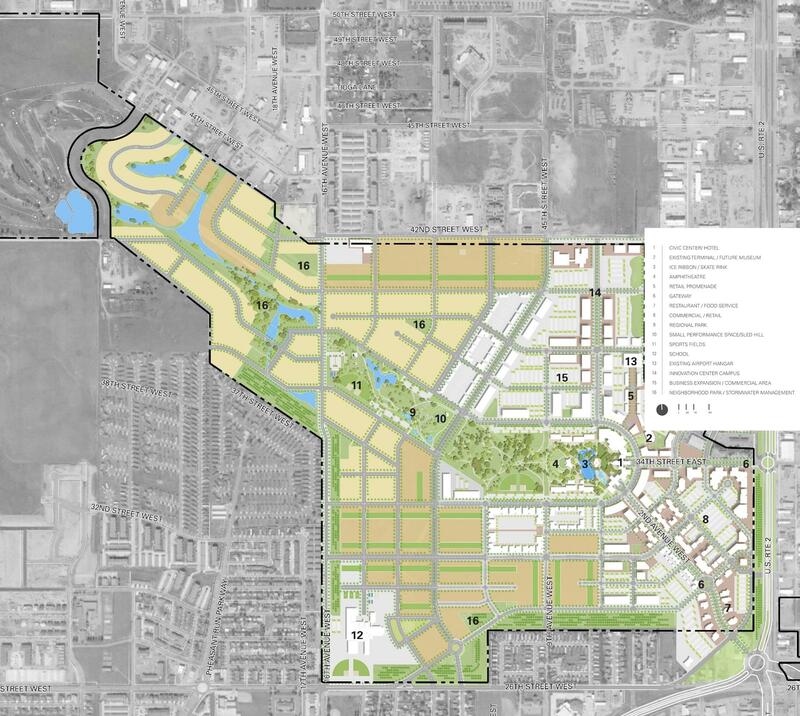 After two years of study and public input, Williston city officials released their master plan this week for redevelopment of the city's Sloulin Airport land after its new airport opens in 2019. The multi-phase plan redevelops 800 acres of real estate, and addresses several current and anticipated needs of Williston. 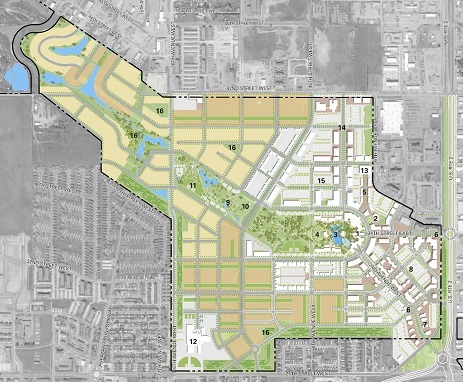 The plan connects the redevelopment to downtown Williston, adds pedestrian "walkability," and additional housing. More public input will be gathered before the project is complete. Click here for the details from developer Cardon Global. The Draft Environmental Impact Statement (DEIS) on widening Highway 85 from Belfield to Watford City is now available for public review. The ND Department of Transportation will take comment on the document until June 25. NDDOT has scheduled public hearings on the DEIS May 29- 31 in Belfield, Fairfield and Watford City. 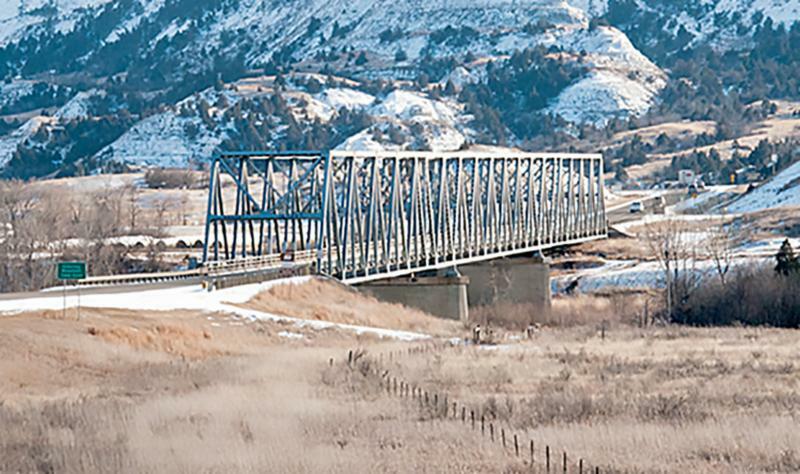 One of the key questions is what to do with the historic Long X Bridge across the Little Missouri River south of Watford City. It could be adopted and moved, or razed, or set aside while another bridge is built near the same location. McKenzie County Economic Development Coordinator Daniel Stenberg, whose family goes back several generations in the county, said the bridge is part of the social and cultural history of the county. 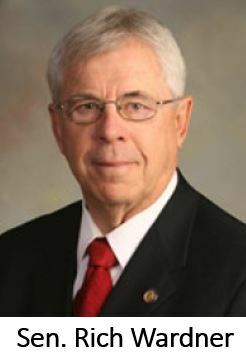 He said there is emotional connection to it, but four-laning Highway 85 and replacing the bridge would be a "huge benefit for Watford City," he said. "It is a historical landmark," he said. "It would be great to connect it with the Maah Daah Hey trail and make it accessible like the Fairview Lift Bridge." Cal Klewin, Executive Director of the Theodore Roosevelt Expressway Association (Hwy 85) believes the old bridge is one of the biggest impediments to efficient freight transportation on one of the busiest highways in the state. NDDOT announcement of Long X Bridge adoption is here. NDDOT project overview is here. Click here for the Amy Dalrymple story about the bridge. North Dakota’s distracted driving enforcement campaign last month -- U Drive. U Text. U Pay. -- netted 448 citations. The ND Highway Patrol said 214 citations were issued for distracted driving, 80 for other traffic citations, 31 for speeding, 27 for not wearing a seat belt, 26 for being an uninsured motorist, and 22 for suspended/revoked license. Law Enforcement also served seven warrants and made six drug-related arrests. The state’s new traffic safety initiative called “Vision Zero” strives to work toward zero motor vehicle fatalities and serious injuries on North Dakota roads. The North Dakota Local Technical Assistance Program (NDLTAP) is training local road superintendents how to use nature’s glue to make poor and tired gravel perform better. In McKenzie County, the"Glue for Gravel Roads" participants learned how adding a small percentage of clay helps hold gravel surfacing together. Curt Glasoe, Western Technical Support Representative, said the instruction will pass on techniques that some areas are already using to make safer and longer-lasting gravel roads. “Numerous oil-producing counties have already shifted toward gravel with a clay binder and this class will help others make the change," Glasoe said. "Reduced blade maintenance and longer life for dust suppressants means cost savings for the counties. Reduced dust and loose rock results in safer roads. Safer roads save lives." The NDLTAP story is here. 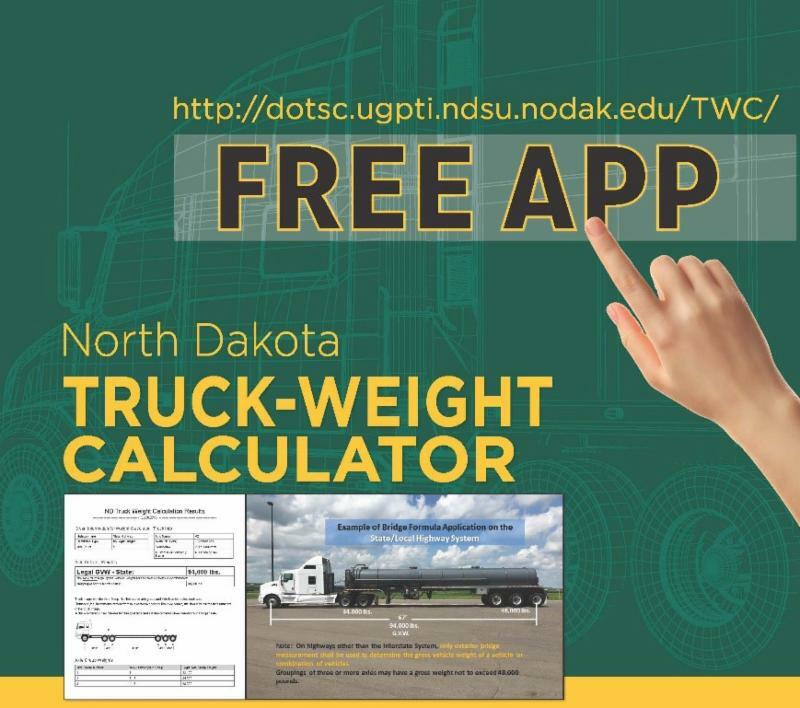 The Upper Great Plains Transportation Institute plans to rework its truck weight calculator and is asking for input. The calculator was launched in 2015 and provides a simple method for calculating vehicle axle weight and gross vehicle weight limits. Leanna Emmer with NDLTAP is taking suggestions via email. Click here to send her one. Click here to access truck weight calculator.